Thank you for visiting DownTown Decatur's CoffeeHouse, The Java Bean Cafe! We're excited for you to see what we're all about. Click the Order Now button to place your order and have it ready when you arrive. 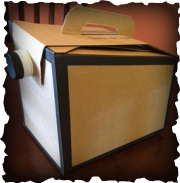 ​Are you hosting a special event or a business meeting and need some fresh brewed coffee? We would be happy to help! Please call the cafe for more details and pricing. In need of specialty cake? We can help with that! Please contact the cafe for more information. We are pleased to be a dealer for Hammer Nutritional Products. Hammer Nutrition is an endurance sports nutrition company founded in 1987 by Brian Frank. Hammer Nutrition provides unparalleled products, knowledge and service to health conscious athletes all over the world. Over the years the product line has grown from fuels & supplements to now include clothing, body care products, EMS units, accessories and more. Currently we have a selection of Hammer bars, gel, protein and their private label coffee. ​Looking for a place to host your next special event? The Java Bean Café is available for private rentals. Please call the cafe for more details. The Java Bean Cafe offers more ways to pay for your order. We now accept Apple Pay and Google Wallet along with all other major credit cards. 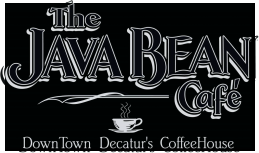 The Java Bean Cafe is a proud member of Decatur Main Street.